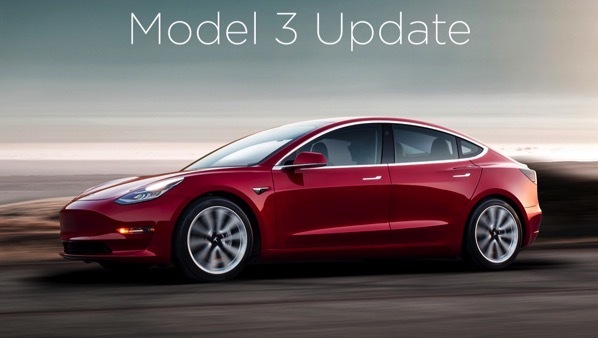 Following the announcement of a 3-month delay in the mass production of Model 3, Tesla is now going to update the delivery timeline of Model 3 reservations over the next 24 hours, Electrek is reporting. 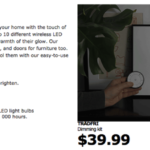 While the company previously announced that it would hit a production rate of 5,000 units per week in December 2017, that target has now been pushed to “late Q1 2018”. Since CEO Elon Musk said that he still expects Tesla to be producing ” a few thousands” Model 3 vehicles per week by the end of the year, it means that some customers may still get their Model 3 deliveries on time. 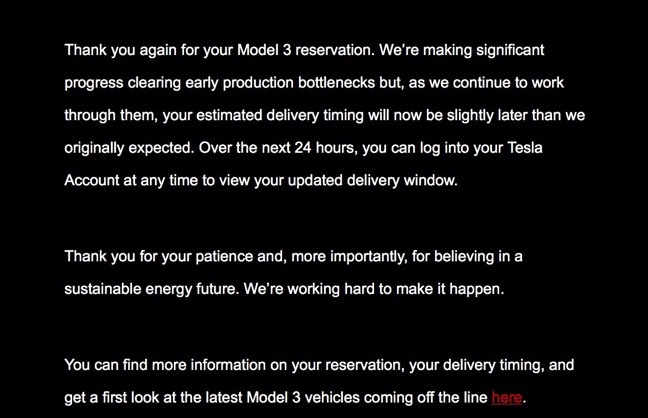 In an email sent out to Model 3 reservation holders last night, Tesla has warned customers of the delay, saying that it has made significant progress in clearing early production bottlenecks. The source points out that delivery estimates have been less impacted for reservation holders who already had later dates, whether because they are on the east coast, outside the US, or they are not current Tesla owners. In the meantime, check out this new Model 3 promo video.